Iron ore exports to China provided a short-lived boom to the state economy. The mining companies made millions but the state squandered the gains by failing to beef up local industry. Ten years ago, getting to Koira was not easy. Hundred kilometres to the north of the steelmaking town of Rourkela, the village was one of the main centres of iron ore mining in Odisha. 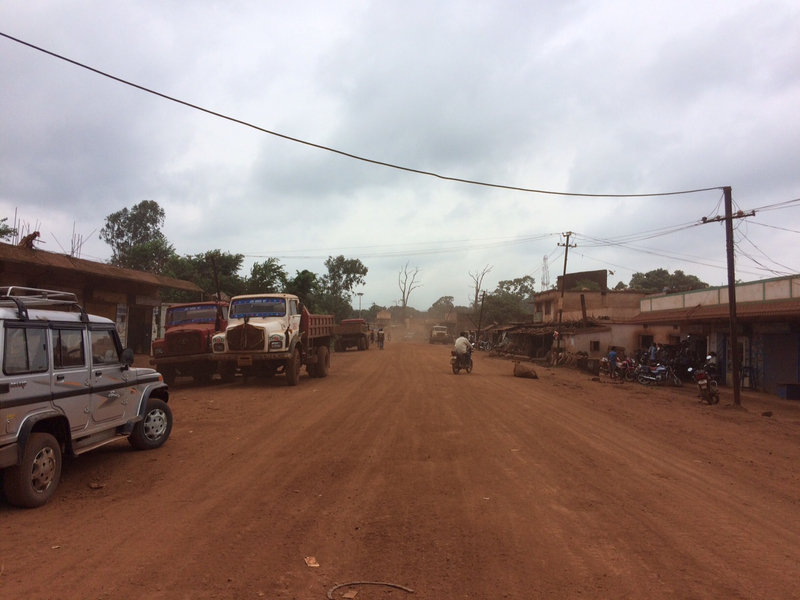 Day and night, trucks crawled along the road going downhill – some lugging ore to the railway yards at the foot of the hills, others travelling 300 kilometres to the port at Paradip, from where ore was shipped to China and beyond. With as many as 80-100 trucks moving bumper to bumper, locals struggled to cross the road. Pile-ups were common. Traffic jams took days to clear. The road itself was a mess. A combination of heavy rains and overloaded trucks had reduced it to a rutted dirt track. And yet, given the insatiable demand for iron ore at the time, the trucks kept moving, kicking up large clouds of red dust as they lurched in and out of potholes and ruts. Those were the boom years. As countries like China rapidly added infrastructure, ore prices were surging across the world. The price of powdered iron ore rose from around $18/tonne in 2004 to $86/ton by 2009. In India, during this period, the price of ore rose from a few hundreds to as high as Rs 8,000 a ton. With the market giving such unequivocal signals, ore extraction went through the roof in states like Odisha. From 8.1 million tons of ore in 1994-'95, before the boom started, the production reached 70 million tons in 2008-'09. That year, exports stood at 16.3 million tons – twice the state's total production just 15 years ago. Koira was one of the ground zeros of this boom. Once a tiny village surrounded by forests, it had been taken over by the trucking economy. Lured by miners willing to pay high rates for every ton of ore transported down, truckers were flooding in from as far away as Uttar Pradesh. Miners were bribing them to take quicker routes, or paying bonuses to those who did multiple trips in a day. Walking down the main street at that time, visitors saw, through a fine, omnipresent red dust, the mushrooming of new businesses – rooms for truckers, shops selling truck spares, roadside repair shops, a new hotel with a liquor license. Ten years later, Koira is a very different place. On the road up, there are fewer trucks. Just before entering Koira, the shuttered ore crushing units have turned dull red as they rust. Some truckers have sold their trucks and left. Those who stayed on, like Sanjay Kumar Gupta, are hoping for a turnaround. “Shayad koi doctor aisa injection de de ki hum theek ho jaye (We could recover if someone gave us an injection),” he said. 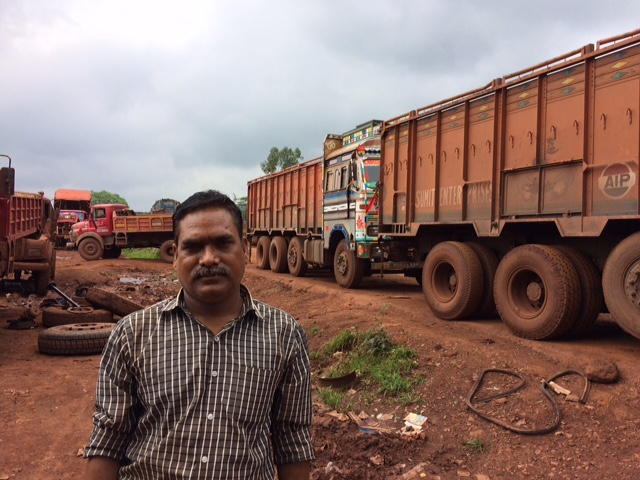 Originally from Varanasi, Gupta had moved to Koira in the early 2000s after hearing about its trucking boom. It was a good call at that time. The 25 mines, mostly with private miners, were filling 5-6 rakes (cargo trains) every day. "There were days when it filled as many as 10 rakes,” said Gupta. For a full load, a rake needed 400-450 tippers – trucks which can unload cargo by tipping their cargo holds – each carrying 9 tons. Competing for trucks, miners were paying truckers as much as Rs 800 per ton. There was a simple arithmetic to the boom: the more the miners shipped, the more they made. It was a logic which resulted in widespread illegal mining, as reports from the Supreme Court's Chief Empowered Committee and the Shah Commission confirmed. But, while it lasted, truckers made gold. A tipper doing two rounds a day, 25 days a month, would make Rs 43 lakh a year. To put that in perspective, the tipper cost just Rs 16 lakh. Gupta bought three new trucks. He was still paying those instalments when the boom abruptly petered out around 2009. The reasons are well-known. After the Beijing Olympics, China's infrastructure push slowed, pulling down global steel and ore prices. Later, Odisha's crackdown on illegal mining where it temporarily halted iron ore mining also affected Koira. Today, just one cargo train leaves Koira every day. Given that the local tipper association has 700 tippers registered with it, truckers are now chasing miners for work. Rates have fallen from Rs 800 per ton to just Rs 415 for trips to the railway yard. For longer trips, the rate is down from Rs 1,350 to Rs 700 per ton. This has pushed truck-owners into a crisis – especially those like Gupta who are repaying bank loans. “The instalment for the big trucks is Rs 60,000 every month,” he said. “At Rs 700 per trip, after accounting for diesel, repairs to the vehicle given how bad the roads are, and paying the driver, I am left with Rs 25,000-30,000 at the end of the month.” He is paying his EMIs only by dipping into his savings, he said. Angry with the miners for slashing rates, the local truck owners' association wanted to go on strike but realised that would only result in truck owners from elsewhere grabbing the work that remains. And so, knowing that finance companies are impounding trucks of those who defaulted, the truckers keep plying to make what they can. Gupta said truckers were living in the hope that the government would intervene and force the miners to raise the rates to atleast Rs 1,350 per ton. “Usse murga roti nahin hoga lekin dal roti to ho jayegi (If not chicken and bread, at least we would get dal and roti)." That demand, however, sits uncomfortably with what Odisha's small and medium steel manufacturers need to survive. Like most industrial zones in India, Kalunga Industrial Area on the outskirts of Rourkela is a grid of rectangular plots allotted to industries with small bastis, where factory labour stays, occupying the interstices. Around 2002, it saw a lot of steel plants come up – sponge iron plants making raw iron, induction furnaces converting the iron into steel, and rolling mills converting the steel into finished goods like sheets and rods. However, walk through it today and you will see the steel-makers' version of Koira's trucking implosion. Subrata Patnaik, the secretary of the Rourkela Chamber of Commerce and Industry, said: “Out of 50 induction furnaces, 40 are closed.” It is the same story, he adds, with the sponge iron plants. Most of them have wound up. This distress is not limited to Rourkela. Small and medium steel plants are shutting down across Odisha, said PL Kandoi, president of All Odisha Steel Federation. He attributed this to the high prices of ore which had made these plants unviable. There is a contradiction here. To protect the truckers, the government will have to hike trucking charges. 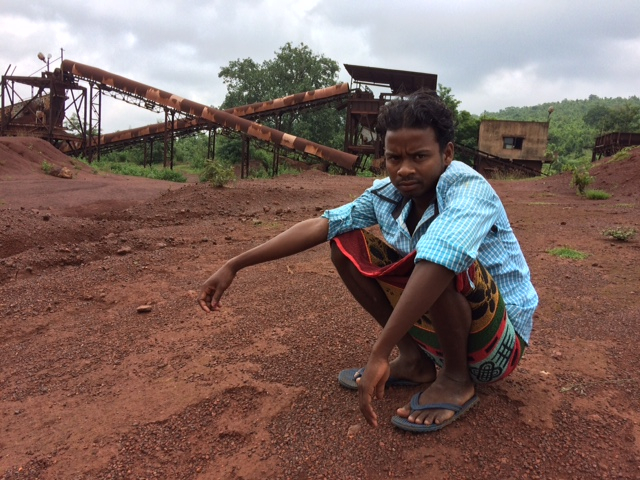 To protect the smelters, it will have to ensure cheaper ore.
From his office in Rourkela, Uday Patel, the managing director of a steel company, has been watching this dissonance take shape. “When the boom started, a bunch of people assumed that it would always continue,” he says. The truckers ordered new trucks thinking Rs 1,350 per ton was the new normal. When the boom ended, there was a glut of trucks. Steel-makers, said Patel, made similar assumptions. Eager to participate in the boom, several promoters turned to what accountants call 'over-invoicing'. For a bank loan, the person proposing the project has to put in, say, 25% of the project cost. “Suppose a person has Rs 20 lakh and he wants to buy a component for a furnace. He would have to pay Rs 5 lakh while the bank pays the remaining Rs 15 lakh,” said Patel. This was subverted by those who either did not have enough money or did not want to put in their money. “Promoters would ask the suppliers for a Rs 40 lakh bill." By doing this, the entire cost would be pushed onto the bank. But the downside was that the size of the bank loan went up. India's steel industry is not a level playing field. Some companies like the Tatas and the Steel Authority of India have captive iron ore blocks. Others have to buy their ore from the merchant miners or through e-auctions from the Orissa Mining Corporation – both of which are costlier sources. The ore boom, while it lasted, pushed up steel prices so high that even the small and medium companies were viable despite paying a lot for ore. However, when ore prices fell, so did steel prices. And the small and medium companies in Odisha ceased being viable. Steel makers want ore prices to be priced on a cost-plus basis. However, a complaint from the Steel Federation, accusing the Odisha Mining Corporation of over-pricing chrome ore, was rejected by the Competition Commission. Travelling in Odisha, it is very obvious that the boom – and its aftermath – have dramatically altered people's lives. If the boom made some people in the state spectacularly wealthy, others were left worse off. Take Prafulla Barik, a farmer in Kadodhia village near Koira, who sold two of his five acres of land in 2005, to buy two tippers, hoping to make some money. Things worked well for a while. By 2008, however, both the rates and the number of trips his trucks made each day began to fall. By 2009, he failed to pay monthly instalments and the truck finance company seized both his vehicles. He is now working for another local transport company and tilling his shrunken fields. Biman Maity, the district general secretary of Centre of Indian Trade Unions in Rourkela, said he was noticing a spike in migration. “Many more agents (labour contractors) are coming to Rourkela. 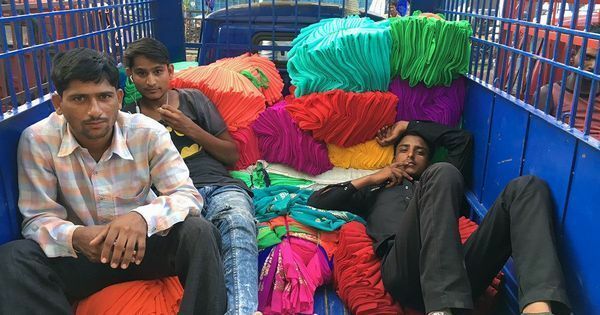 They are taking labour from here to Haryana and Punjab to work in brick kilns, to Kerala for agriculture work, and to Gujarat for working in industries there.” He estimates migration from Rourkela is up ten-fold after the boom ended. The boom has changed Odisha in other ways too. Money flowed from mining into unrelated areas like gold, media, real estate and even education – the state saw a flurry of educational institutions open during the mining boom. When the mining boom ended, these mini-booms collapsed as well. The big question is this: Odisha, in the early 2000s, was a mineral-rich but income poor state. When mineral prices boomed, could the state have capitalised better? Patel thinks so. “It was a mistake to allow the export of ore. We should have exported steel. Instead of making Rs 4,000 per ton exporting ore, we could have made Rs 45,000 per ton exporting steel.” That would have made domestic manufacturers more competitive and created a more robust industrial economy in the state. But instead, he said, the state saw a “silent accommodation of mining interests”. With governments at the state and in the centre content earning royalty, the miners exported unprocessed ore, and made millions. What Odisha got was a short-lived boom, followed by long-term losses.